Before Ms Havelka joined in 2012, the Australian Ballet had never had an Indigenous dancer in its 50-year history. Ms Havelka has had a remarkable journey to the stage and now Ella, a documentary about her life, will make its debut at the Melbourne International Film Festival. 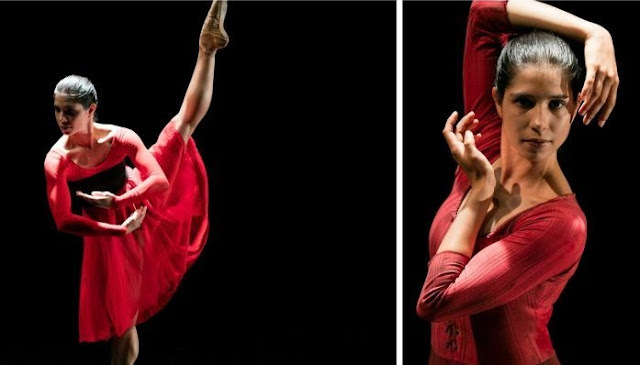 Fast-forward two decades and she has become the very first Indigenous ballerina in the Australian Ballet. Ms Havelka made headlines in 2012 when she was invited to join the prestigious ballet, but behind the curtain, she had a difficult journey to the stage. Supported by an 'amazing community': An only child, Ms Havelka moved away to Melbourne as a teenager to train at the Australian Ballet School. The 27-year-old said when she first joined the Australian Ballet, she was reluctant to make a fuss about becoming the first Indigenous ballerina in the company. And she said that has continued to play on her mind. "I want to prove that I am good enough, not just for myself, but for my people," Ms Havelka said. Ella premiered this week at the Melbourne International Film Festival and it will have a wider release in selected theatres in October. Responses to "Very First Aboriginal Ballet Dancer Joins Australian Ballet"